FALL head over heels for this delectable stack of pancakes! 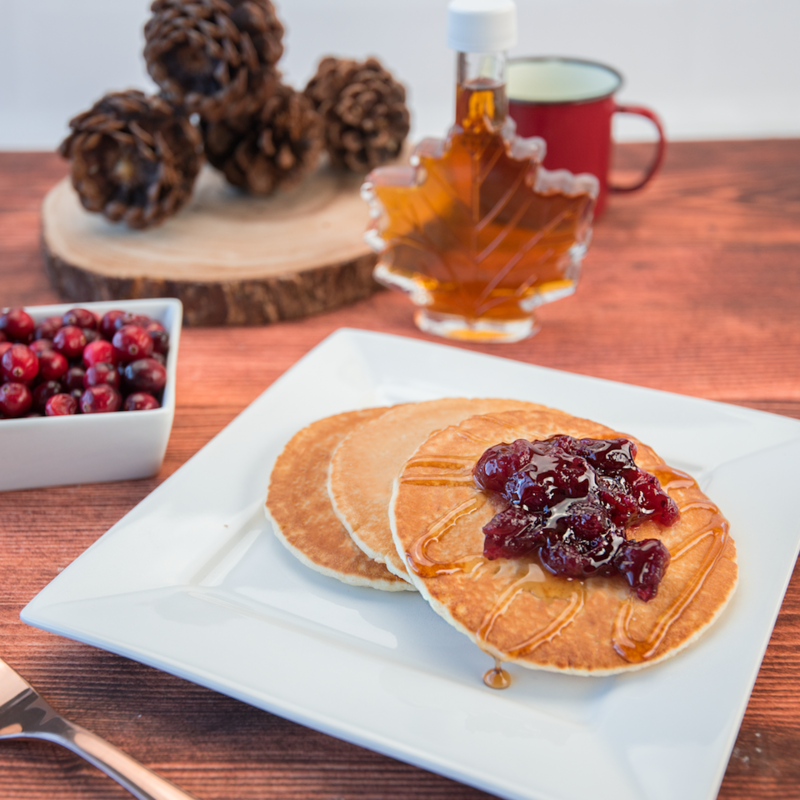 Drizzle maple syrup on your pancakes, to taste. Finally, spread the cranberry relish on top of your stack.